Discussion in 'Guitars in General' started by slider, Apr 19, 2016. Wow, this is valuable, no? Unreleased, famous for being a bad idea. Bottom of the line, but a collector's item, I think. I bought it while you jokers were snoozing! It's the cheapo import version, not the Gibson USA version. Interesting that it's out there nonetheless. What about the other one he has listed? Looks different, it's gibson as well? I am still amazed that this was even a thing...surprised they didn't put "Jimmy Hendricks" on it. Didn't the Gibson have a set neck? The guitar listed has a bolt on and I don't see a Gibson logo anywhere. Think I'll pass. And a locking trem. I don't know what this(these) are. Not Gibson branded, but Gibson affiliated. If I remember the story correctly, there were two lines that Gibson and the Hendrix family were marketing. One line consisted of budget overseas models. No Gibson logos, but Gibson was involved in the project. The ones branded Gibson were domestic products and looked different still. 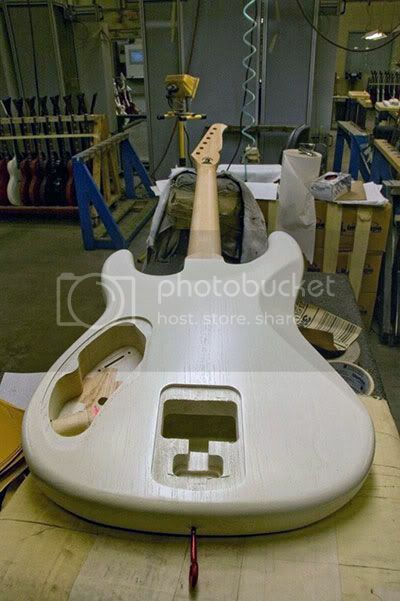 US were rear-routed and set neck. I want the Hendrix Vodoo child amp! I actually like the body shape, but, just, no. Not Gibson branded, but Gibson affiliated. If I remember the story correctly, there were two lines that Gibson and the Hendrix family were marketing. If I remember the detail of the story correctly, Gibson signed the licensing agreement for these guitars during the time that the rights to the Jimi Hendrix name was being debated in court. The licensing rights ultimately ended up being given to someone other than the party that had signed the licensing agreement with Gibson, and Gibson was forced to cease manufacturing and destroy their existing inventory of both the import and USA models as a result. The one on EBay was made to sell in the $299 - $399 range. 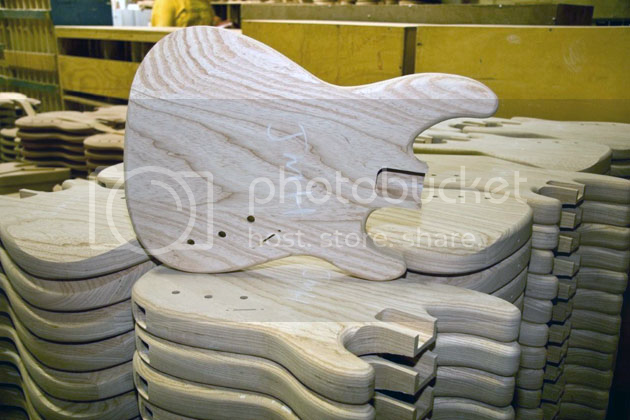 The set-neck was to be MIA of Ash with a Steinberger Vibrato. The necks were glued to several...I don't think they were ever completed. The headstock was a 6 IL with a Gibson open book design! Search for "Jimi Hendrix Estate Battle" and you'll get a good idea of the drama that went on. Long story short, Janie Hendrix secured licensing rights that included those for musical instruments and decided to not go forward with the Gibson deal in the 11th hour. All of this makes this "prototype" really interesting. 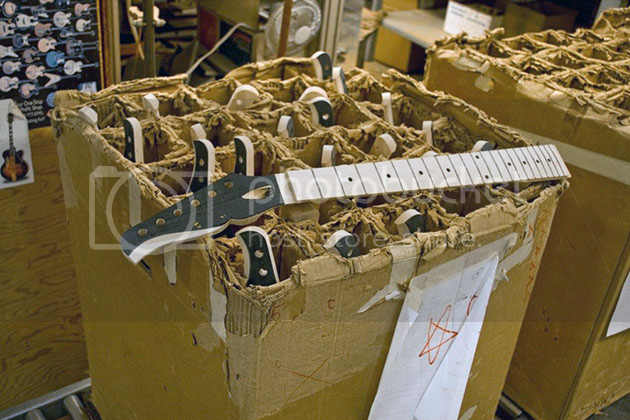 The fact that it wasn't destroyed suggests that the prototype guitars may have been designed outside of Gibson. If it's an actual Gibson made (or subcontracted to be made for Gibson), it might still be Gibson property and/or be subject to seizure and destruction. It appears to be awfully similar to the guitars available at Andertons, as linked above. The linked webpage states Availability: Not available to buy. Has anyone confirmed that Andertons ever received and shipped this product? This might just be a web page that hasn't been taken down.